Mayor Harold Washington and Ald. 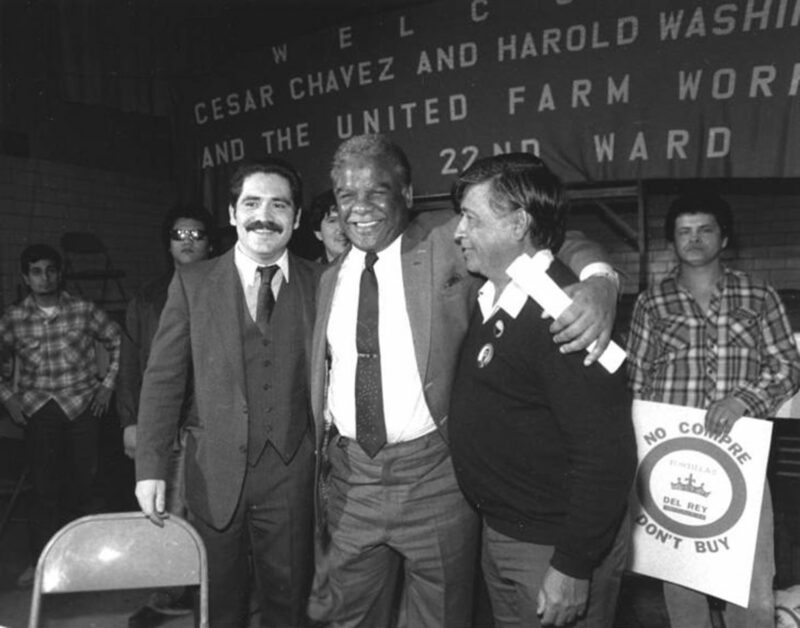 Jesus Garcia (left), were on hand in support Cesar Chavez (right), president and founder of the United Farm Workers of America, as he announced a new boycott of California table grapes to prevent further health risks to workers and consumers due to increased use of pesticides on Oct. 11, 1985. In the nearly 32 years since Washington’s death, both the African-American or Latino communities have failed to manifest mature, disciplined politics.